You're using an old version of your internet browser, which is fine for browsing but no longer secure enough for online payments. Get BT Sport free for three months with selected packages when you get BT broadband. Looking for the finest action the sporting world has to offer? From UEFA Champions League and Premier League football, rugby, UFC and loads more, BT Sport is bursting with epic matches. Watch in the app and online? BT Sport and BT TV make an unbeatable combination. See every match of the UEFA Champions League live, exclusive to BT Sport until 2021, plus 42 Premier League games and more. Add BT Sport to your Sky TV package and you’ll get all four BT Sport channels plus BoxNation, with access to the BT Sport app and online player. 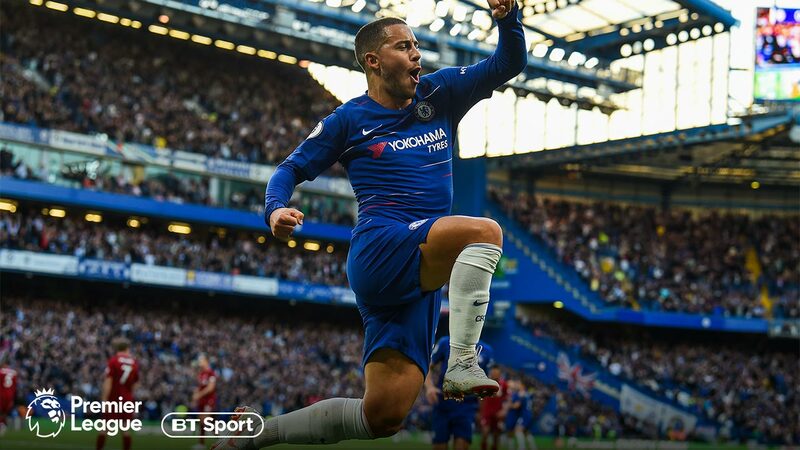 Get BT Sport for less when you take BT Broadband too and you can still watch all the action on Sky TV. Add the BT Sport App to your broadband from us and you can watch online on your laptop, tablet or phone wherever you are. You can also cast it to your TV at home with Google Chromecast or download the app direct to your Apple TV, Xbox or Samsung Smart TV. No matter how you watch BT Sport, you’ll get access to BT Sport app. It includes our enhanced online player, which lets you relive key moments, watch multi-angle replays and get live in-match stats for Premier League, UEFA Champions League. If you’ve got TalkTalk TV, the unmissable action on all four BT Sport channels is now available for you to watch. With our TV boxes, apps and speedy BT Broadband, BT TV is the best way to experience BT Sport. Manage your BT Sport package and your BT account. How to set up BT Sport, watch in the BT Sport app on a mobile or tablet, and more. What's in the BT Sport Pack? The BT Sport Pack now features four channels – BT Sport 1, BT Sport 2, BT Sport 3 and BT Sport ESPN. They sit alongside their HD versions – BT Sport 1HD, BT Sport 2HD, BT Sport 3HD and BT Sport ESPN HD. The BT Sport Pack will show all 351 UEFA Champions League & UEFA Europa League games broadcast live each season, plus the Premier League, FA Cup, Gallagher Premiership Rugby, Ultimate Fighting Championship, MotoGP™ and loads more. How do I get BT Sport Pack? If you have a Sky box and an active Sky viewing card, you can easily get the BT Sport Pack. You don't even need to be a BT customer, but if you do have BT TV then you can add BT Sport Pack from as little as £10 a month (free with Starter or Max 4K combo), and if you have BT Broadband then BT Sport Pack is just from £15 a month. Without BT Broadband it costs from £29.99 a month. Watch live sport on BT TV with a BT Superfast Fibre Broadband or BT Broadband package. And if you can get BT Superfast Fibre Broadband with BT TV, you can add BT Sport HD for a small monthly fee. As long as you've got broadband from BT, you can watch BT Sport on your PC, Mac, smartphone or tablet using the app and online player. You'll need to enter your BT ID to start watching. You can have BT Sport simultaneously on BT TV and Sky if you subscribe to both services. This costs £10 a month for the BT Sport Pack on additional box. For customers with BT Mobile only, you can watch on your smartphone using the app. When I use the BT Sport app and online player, will it count towards my BT Broadband usage allowance? If you watch BT Sport using your BT Broadband or a BT Wi-fi hotspot, it won't count towards your usage allowance. If you've got broadband from another supplier, or if you watch BT Sport using a mobile data connection (for example on your smartphone or tablet), that might count towards your usage allowance. Can I watch BT Sport from the BT Sport app on my TV? Yes, if you've got the right equipment at home to connect your PC, laptop, smartphone or tablet to your TV, then you'll be able to stream the app onto your TV. Alternatively, find out more about using Google Chromecast to watch BT Sport on your TV. Please note that BT Mobile customers with the BT Mobile Sport app (different from the regular app) will not be able to do this. How do I get BT Sport in HD? You can watch BT Sport in stunning high definition on the Sky Digital Satellite Platform, or on BT TV with BT Superfast Fibre Broadband. Select your package and then choose HD before you checkout. If you've got a HD subscription with Sky, this won't work with BT Sport. You'll need to add BT Sport HD to your BT Sport package. To watch in HD, you'll need a HD-ready TV that's connected to your set-top box using a HDMI cable. If you're watching on the Sky Digital Satellite Platform, you'll also need a black Sky box. Can I get BT Sport in more than one room? If you're on the Sky Digital Satellite Platform, you can watch BT Sport at home on a second TV if you have BT Sport Second Box. You'll need a second Sky box and second viewing card to order. If you've got BT Sport HD, you'll be able to watch it on both your boxes. You won't need an extra BT Sport HD subscription. Can I order the BT Sport app and online player without BT Broadband? Sorry, but the BT Sport app and online player is only available on its own with BT Broadband packages, and is free for 3 months then costs £10 a month. The app and online player is also included for free if you order BT Sport on BT TV, Sky TV or TalkTalk TV. How do I start using the BT Sport app and online player? First, you need to download the app from the Apple App store or Google Play store. Next, you need to activate the BT Sport app on your BT account. Just log in to My BT, click on 'BT Sport' and follow the instructions. When you use the app, and when you want to watch BT Sport at btsport.com, you'll need to enter your BT ID. Can I cancel the BT Package that I've ordered? You may cancel your agreement for the service and order for equipment within 14 days from your service start date (or the day you receive your order confirmation or your equipment is delivered, if this is later). This doesn’t apply to some services such as BT Sport or BT TV bolt-ons. We set out work this works in our terms and conditions at bt.com/legalstuff. If you decide to cancel within this period, you will have to pay for the services you have used and any connection charges that may apply. You must also return any equipment we have sent you. Where you have also cancelled an order for equipment, you must return it (undamaged and in its original packaging), following our instructions. We will refund anything you have already paid for the equipment but may deduct the relevant costs where damage has occurred to the equipment and it is not in its original condition. Each year from March 2020, the price of your SIM Only, Data SIM, Family SIM, tablet, mobile phone, mobile broadband, broadband and landline plan and most of our other prices will increase by the rate of inflation (the Consumer Price Index rate published in January of that year). This includes call charges, features and plans. Other terms, prices and products, like BT TV or BT Sport, might also change during your contract. See bt.com/prices for details. *Family SIM saving compared to the same number of individual SIMs bought on our standard SIM Only plan. See our tariff guide for details of all our standard prices. The BT Reward Card is issued by Blackhawk Network (UK) Ltd., pursuant to license by Mastercard International Incorporated. 93% of calls dealt with in UK and Ireland, some specialist teams are located offshore. We’ll send you up-to two more discs to ensure a strong signal in every room of your home. If you still can’t get a strong signal we’ll give you a one-off credit of £20 off your next BT bill. Guarantee only applies when your Smart Hub2 is connected to the internet and does not cover broadband faults. For full terms see bt.com/legalstuff. BT Plus is linked to the broadband product you’re on – if you cancel or move to a broadband product that is not part of Plus, you will lose your benefits. Terms apply, see bt.com/BTPlusterms. Broadband Backup, Mobile Data Boost and Fastest 4G Speed apply to BT Mobile plans on the same billing account as your Plus Broadband. Keep Connected Promise: You’re covered for eligible faults, which means 94% of issues reported. 4G coverage required. See bt.com/BTPlusterms. You’ll need to contact us to report the fault. Mobile network coverage required. Applies for the duration of your fault only. Telephone support: 93% of calls dealt with in UK and Ireland, some specialist teams are located offshore. Prices and terms subject to change during the contract term. *UK calls of up to an hour to 01, 02, 03, 0845 and 0870 numbers, excluding the Channel Islands, indirect access numbers and dial-up internet access. Other exclusions apply. For new Broadband Unlimited customers that sign up for 18 months. Price from month 19 currently £32.99 a month. Includes Unlimited Weekend Calls, BT Virus Protect, 200GB Cloud and a BT Home Hub (unless BT has already provided you with one). If you leave in the first year, we'll charge you up to £55 towards the cost of your new Hub. Compatible line required otherwise £49.99 connection charge may apply. Payment by Direct Debit. BT Virus Protect works on compatible PC/MACs. BT Cloud: You need to activate the service yourself. This service will be stopped and your back-up files deleted if you don’t use it for 90 days. Subject to availability. Terms apply. Keep Connected Promise and Broadband Backup: You’re covered for eligible faults, which means 94% of issues reported. 4G coverage required. See bt.com/BTPlusterms. You’ll need to contact us to report the fault. Mobile network coverage required. Applies for the duration of your fault. Speed comparisons based on peak time average speeds vs our standard broadband (10 Mbps). 4G speeds vary by location, coverage and demand. Fastest 4G Speed: 4G speeds vary by location, coverage and demand. Applied to all BT Mobile plans on the same billing account as your Plus Broadband. 80% UK availability. For new and existing BT Broadband customers that sign up for 18 months. Price from month 19 currently £58.99 a month. Includes Unlimited Weekend Calls, BT Virus Protect, 1000GB Cloud and a BT Home Hub (unless BT has already provided you with one). If you leave in the first year, we'll charge you up to £65 towards the cost of your new Hub. Payment by Direct Debit. BT Virus Protect works on compatible PC/MACs. BT Cloud: You need to activate the service yourself. This service will be stopped and your back-up files deleted if you don’t use it for 90 days. Subject to availability, minimum line speed and computer specification. BT Plus: BT Plus is linked to the broadband product you’re on – if you cancel or move to a broadband product that is not part of Plus, you will lose your benefits. Terms apply, see bt.com/BTPlusterms. For new and existing BT customers that sign up for 18 months. £59.99 a month from month 19. Includes Unlimited Weekend Calls. 1000 GB Cloud Storage, BT Virus Protect and BT Smart Hub. If you leave in the first year we’ll charge you up to £65 towards the cost of your new hub. Payment by Direct Debit. BT Virus Protect works on compatible PC/MACs. BT Cloud: You need to activate the service yourself. This service will be stopped and your back-up files deleted if you don’t use it for 90 days. Subject to availability. Terms apply.‡ BT Plus: BT Plus is linked to the broadband product you’re on – if you cancel or move to a broadband product that is not part of Plus, you will lose your benefits. Terms apply, see bt.com/BTPlusterms. For new and existing BT customers that sign up for 18 months. £64.99 a month from month 19. Includes Unlimited Weekend Calls. 1000 GB Cloud Storage, BT Virus Protect and BT Smart Hub. If you leave in the first year we’ll charge you up to £65 towards the cost of your new hub. Payment by Direct Debit. BT Virus Protect works on compatible PC/MACs. BT Cloud: You need to activate the service yourself. This service will be stopped and your back-up files deleted if you don’t use it for 90 days. Subject to availability. Terms apply.‡ BT Plus: BT Plus is linked to the broadband product you’re on – if you cancel or move to a broadband product that is not part of Plus, you will lose your benefits. Terms apply, see bt.com/BTPlusterms. Complete Wi-Fi with Superfast Fibre products: 91% UK availability. Available to new Superfast Fibre customers. 18 month term. If you cancel Complete Wi-Fi you’ll need to return the Wi-Fi discs, or else you’ll be charged £30 per disc. When you take Complete Wi-Fi, you’ll be sent a Smart Hub2, if you cancel your broadband product within its minimum term, you’ll be charged up to £45 towards the cost of your Smart Hub2. For full terms see bt.com/legalstuff. Prices from month 19: Superfast Fibre Essential with Complete Wi-Fi: £44.49. Superfast Fibre with Complete Wi-Fi: £52.49 Superfast Fibre 2 with Complete Wi-Fi: £58.99. Superfast Fibre Plus - Prices and terms subject to change during the contract term. 80% UK availability. For new and existing BT Broadband customers that sign up for 18 months. Price from month 19 currently £58.99 a month. Includes Unlimited Weekend Calls, BT Virus Protect, 1000GB Cloud and a BT Home Hub (unless BT has already provided you with one). If you leave in the first year, we'll charge you up to £65 towards the cost of your new Hub. Payment by Direct Debit. BT Virus Protect works on compatible PC/MACs. BT Cloud: You need to activate the service yourself. This service will be stopped and your back-up files deleted if you don’t use it for 90 days. Subject to availability, minimum line speed and computer specification. BT Plus: BT Plus is linked to the broadband product you’re on – if you cancel or move to a broadband product that is not part of Plus, you will lose your benefits. Terms apply, see bt.com/BTPlusterms. Ultrafast Fibre Plus - Prices and terms subject to change during the contract term. For new and existing BT customers that sign up for 18 months. £59.99 a month from month 19. Includes Unlimited Weekend Calls. 1000 GB Cloud Storage, BT Virus Protect and a BT Smart Hub. If you leave in the first year we’ll charge you up to £65 towards the cost of your new hub. Payment by Direct Debit. BT Virus Protect works on compatible PC/MACs. BT Cloud: You need to activate the service yourself. This service will be stopped and your back-up files deleted if you don’t use it for 90 days. Subject to availability. Terms apply. BT Plus: BT Plus is linked to the broadband product you’re on – if you cancel or move to a broadband product that is not part of Plus, you will lose your benefits. Terms apply, see bt.com/BTPlusterms. Ultrafast Fibre 2 Plus - Prices and terms subject to change during the contract term. For new and existing BT customers that sign up for 18 months. £64.99 a month from month 19. Includes Unlimited Weekend Calls. 1000 GB Cloud Storage, BT Virus Protect and BT Smart Hub. If you leave in the first year we’ll charge you up to £65 towards the cost of your new hub. Payment by Direct Debit. BT Virus Protect works on compatible PC/MACs. BT Cloud: You need to activate the service yourself. This service will be stopped and your back-up files deleted if you don’t use it for 90 days. Subject to availability. Terms apply. BT Plus: BT Plus is linked to the broadband product you’re on – if you cancel or move to a broadband product that is not part of Plus, you will lose your benefits. Terms apply, see bt.com/BTPlusterms. Complete Wi-Fi with BT Plus: 80% UK availability. Available to new and existing BT Plus customers. Existing customers will need to re-contract their BT Plus for 18 months. 18 month term. Price from month 19 currently £63.99 a month for BT Plus with Complete Wi-Fi. If you cancel Complete Wi-Fi you’ll need to return the Wi-Fi discs, or else you’ll be charged £30 per disc. When you take Complete Wi-Fi, you’ll be sent a Smart Hub2, if you cancel BT Plus within 12 months you’ll be charged up to £45 towards the cost of your Smart Hub2. BT Plus is linked to the broadband product you’re on - if you cancel or move to a broadband product that is not part of Plus, you will lose your benefits. Includes Unlimited Weekend Calls, BT Virus Protect, 1000GB Cloud and a BT Smart Hub 2. Payment by Direct Debit. Subject to availability, minimum line speed and computer specification. Terms apply, see bt.com/BTPlusterms. Broadband Backup, Mobile Data Boost and Fastest 4G Speed apply to BT Mobile plans on the same billing account as your Plus Broadband. Offer available for new customers moving home. Compatible line required otherwise £49.99 connection charge may apply. Payment by Direct Debit. If you leave in the first year, we’ll charge you up to £65 towards the cost of your new BT Smart Hub. Superfast Fibre Unlimited: Price from month 19 currently £37.42 a month. Save over £100 based on monthly price of 29.99 for home movers vs standard price of 35.99 over 17 months. 5x faster than the UK’s average standard broadband speed of 9.6 Mbps at peak time, 8 – 10 pm, (Ofcom UK Home Broadband Performance Report, May 2018). Subject to availability. Terms apply. £70 BT Reward Card offer ends 02/05/2019 and is available online only to new BT Broadband customers ordering a BT Broadband Unlimited Package on bt.com (excludes existing BT Broadband customers upgrading to Superfast Fibre). Subject to availability. £80 BT Reward Card offer ends 02/05/2019 and is available online only to new BT Broadband customers ordering a Superfast Fibre Essential Unlimited Package on bt.com (excludes existing BT Broadband customers upgrading to Superfast Fibre). Subject to availability. £110 BT Reward Card offer ends 02/05/2019 and is available online only to new BT Broadband customers ordering a Superfast Fibre Unlimited Package on bt.com (excludes existing BT Broadband customers upgrading to Superfast Fibre). Subject to availability. £70 BT Reward Card offer ends 02/05/2019 and is available online only to new BT Broadband customers ordering a Superfast Fibre 2 Unlimited, Superfast Fibre 3 or 4 Plus Package on bt.com (excludes existing BT Broadband customers upgrading to Superfast Fibre). Subject to availability. £130 BT Reward Card offer ends 02/05/2019 and is available online only to new BT Broadband customers ordering an Ultrafast Fibre Plus or 2 Plus Package on bt.com (excludes existing BT Broadband customers upgrading to Ultrafast Fibre Plus). Subject to availability. You must claim your BT Reward Card once your broadband is installed and you have 3 months from this date to claim. Claim your reward by visiting https://www.bt.com/manage/bt-reward-card.html and logging in with your BT ID. You must activate the card within 3 months of receipt. Following a successful claim, your card will be sent to the broadband installation address. Offer, BT Reward Card & BT terms apply (www.productsandservices.bt.com/products/bt-reward-card). The BT Reward Card is issued by Blackhawk Network (UK) Ltd, an Electronic Money Institution authorised in the UK by the FCA with Firm Reference number 900023; pursuant to license from Mastercard International. Mastercard® is a registered trademark of Mastercard International Inc. Blackhawk Network (UK) Ltd’s company registration number is 05802971 and its registered office is at Westside, London Road, Hemel Hempstead, HP3 9TD. Most popular broadband: copper and fibre customers combined. BT Superfast Fibre speeds referred to are download speeds; speeds affected by various factors including distance from the cabinet, time of day and internal home wiring. If your line won't support our top speed, we'll offer the best speed available. We'll always offer the best available speed on your line. BT Virus Protect for 2 devices comes as standard with all our broadband packages, except Superfast Fibre Plus which comes with 15 devices. You can increase to 15 licences for only £4 a month, with the first month free. You'll need to activate and download this service, it may not work with some computer or mobile systems. See BT Virus Protect details. BT is not responsible for any of the site categorisations – this is done by our 3rd party specialist vendor. The Account Holder needs to set up and maintain this service. If you delete your account – your settings will be lost. You can re-activate at any time but you will need to add all of your settings again. BT doesn't support activities that infringe the copyrights of the holder. You need to activate the service yourself. You'll get 10GB free storage with Broadband Unlimited , 200GB free storage with Broadband Unlimited and Superfast Fibre Unlimited or 1TB Superfast Fibre 2 Unlimited Some existing BT Broadband customers may need to re-contract to get 50GB. Terms apply. Free Amazon Echo Offer of £89.99. Available to new BT Broadband customers purchasing Superfast Fibre Essential Unlimited, Superfast Fibre Unlimited and Superfast Fibre 2 Unlimited, Superfast Fibre 3 or 4 Plus Packages. You’ll receive a unique code on completion of your 14 day cooling off period. Claim within 28 days using your unique code at BT Shop. Terms apply. We may sometimes make changes to the TV content and software we provide, for example changing the look and feel of one of our apps. We'll tell you about important changes in advance. £50 charge for an engineer install or £30 for Broadband extenders, if necessary. Availability of channels and quality of content depends on local transmitter and suitable rooftop aerial (www.freeview.co.uk/availability). You'll need to pay by Direct Debit. If purchasing a TV & Broadband package a £9.99 delivery charge for the BT Hub and BT TV box will be applied. If TV is purchased separately a one off £9.99 charge applies. Subject to availability. Terms apply. We'll charge you for on demand content. Prices, terms and BT TV content subject to change during the contract term. BT TV Starter: For new BT TV customers that sign up for 18 months. Existing broadband customers must have 18 months remaining on your contract, if not you’ll need to re-contract your broadband. £9.99 delivery charge applies to existing BT Broadband customers. BT TV Starter includes a recordable TV box, if you stop your service in the first year we will charge you up to £99. HDMI connection required. Optional £49 charge for an engineer install or £30 for Broadband extenders, if required. Availability of digital channels and quality of content depends on local transmitter and suitable rooftop aerial (www.freeview.co.uk/availability). Minimum line speed required to watch the live AMC channel and BT Sport Payment by direct debit. Subject to availability. Terms apply. BT TV Starter: For new BT TV customers that sign up for 18 months. Requires BT Superfast Fibre. Existing broadband customers must have 18 months remaining on your contract, if not you’ll need to re-contract your broadband. £9.99 delivery charge applies to existing BT Broadband customers. BT TV Starter includes a recordable TV box, if you stop your service in the first year we will charge you up to £99. HDMI connection required. Optional £49 charge for an engineer install or £30 for Broadband extenders, if required. Availability of digital channels and quality of content depends on local transmitter and suitable rooftop aerial (www.freeview.co.uk/availability). Payment by direct debit. Subject to availability. Terms apply. BT TV Essential: For new BT TV customers. 18 month contract. Existing broadband customers must have 18 months remaining on your contract, if not you’ll need to re-contract your broadband. BT TV Essential includes a recordable TV box, if you stop your service in the first year we will charge you up to £199. HDMI connection required. Optional £49 charge for an engineer install or £30 for Broadband extenders, if required. Availability of digital channels and quality of content depends on local transmitter and suitable rooftop aerial (www.freeview.co.uk/availability). Payment by direct debit. Subject to availability. Terms apply. BT TV Classic: For new BT TV customers with BT Superfast Fibre. 18 month contract. Existing broadband customers must have 18 months remaining on your contract, if not you’ll need to re-contract your broadband. BT TV Classic includes a recordable TV box, if you stop your service in the first year we will charge you up to £199. HDMI connection required. Optional £49 charge for an engineer install or £30 for Broadband extenders, if required. Availability of digital channels and quality of content depends on local transmitter and suitable rooftop aerial (www.freeview.co.uk/availability). Payment by direct debit. Subject to availability. Terms apply. BT TV Entertainment: For new BT TV customers with BT Superfast Fibre. 18 month contract. Existing broadband customers must have 18 months remaining on your contract, if not you’ll need to re-contract your broadband. BT TV Entertainment includes up to 20 premium channels, the BT TV App and a recordable TV box, if you stop your service in the first year we will charge you up to £199. HDMI connection required. Optional £49 charge for an engineer install or £30 for Broadband extenders, if required. App available on up to 2 compatible devices (Android 4.1.2. Or above / iOS6 or above). Availability of digital channels and quality of content depends on local transmitter and suitable rooftop aerial (www.freeview.co.uk/availability). Payment by direct debit. Subject to availability Terms apply. BT TV Max: For new BT TV customers with BT Superfast Fibre and sufficient line speed. 18 month contract. Existing broadband customers must have 18 months remaining on your contract, if not you’ll need to re-contract your broadband. You'll need a compatible 4K TV and a fast enough line speed to view 4K content. 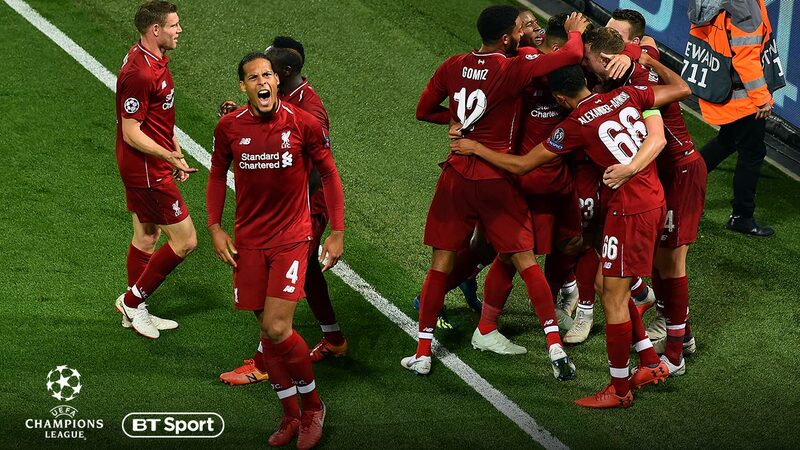 TV Max provides access to the BT Sport Ultra HD channel and includes 31 premium entertainment channels, 21 premium HD channels, BT TV App and a 4K recordable TV box. If you stop your service in the first year we'll charge you up to £249 towards the cost of the box. HDMI connection required. A 10m cable will be provided. Optional £44 charge for an engineer install or £30 for Broadband extenders, if required. App available on up to 2 compatible devices (Android 4.1.2. Or above / iOS6 or above). Availability of digital channels and quality of content depends on local transmitter and suitable rooftop aerial (www.freeview.co.uk/availability). Subject to availability. Terms apply. BT TV Max: For new BT TV customers with BT Superfast Fibre and sufficient line speed. 18 month contract. Existing broadband customers must have 18 months remaining on your contract, if not you’ll need to re-contract your broadband. You'll need a compatible 4K TV and a fast enough line speed to view 4K content. TV Max 4K provides access to the BT Sport 4K channel and includes 31 premium entertainment channels, 21 premium HD channels, BT TV App and a 4K recordable TV box. If you stop your service in the first year we'll charge you up to £249 towards the cost of the box. HDMI connection required. A 10m cable will be provided. Optional £44 charge for an engineer install or £30 for Broadband extenders, if required. App available on up to 2 compatible devices (Android 4.1.2. Or above / iOS6 or above). Availability of digital channels and quality of content depends on local transmitter and suitable rooftop aerial (www.freeview.co.uk/availability). Subject to availability. Terms apply. Bolt–ons available on a one month minimum term. Monthly charge of £4 Music on demand / £6.50 HD Extra channels / £5 Kids Extra channels. You'll need an HD ready TV & cabling. Free for first three months. One month minimum term. £6.50 from month four. Terms apply. HD on demand requires suitable HDMI cable, a HD ready TV and 5Mbps minimum line speed for streaming. Subject to availability. Terms apply. Available on a one month minimum term for £5.99 a month. If you watch Netflix on a TV box it will not count towards your broadband usage. Watching on your laptop or other device will. See www.netflix.com/TermsOfUse for details. You'll need sufficient line speed and a subscription to BT TV to watch the live AMC channel on BT TV. If you would like to get AMC, you just need to select the AMC Option whilst personalising your package. If you Opt out of AMC, the channel and/or catch-up content will remain enabled for a set period and will cease within 3 months. AMC is a separate bolt-on bonus channel and may be removed at any time. You'll need an HD ready TV & cabling. Free for first three months. One month minimum term. Terms apply. 11 Sky Cinema channels plus video on demand bolt–on available to BT Superfast Fibre customers only. Excludes Sky Cinema Premiere+1, MGM and may exclude subsequent channel launches. Available on a one month minimum term, for £16 a month. To watch and record Sky Sports HD (and any additional HD) channels simultaneously you will require an Superfast Fibre download speed above 30 Mb/s. Sky Sports Main Event and Sky Sports Extra HD channels available to BT Superfast Fibre customers with a TV box. There’s a one month minimum term and a cost of £36. Terms apply. Sky Sports Main Event and Sky Sports Extra SD/HD channels available to BT Superfast Fibre customers with a TV box. There’s a one month minimum term and a cost of £30 a month for SD or £36 a month for HD. Terms apply. Calls to service numbers starting 084, 087, 09 & 118 consist of a 15p per minute access charge from BT, plus a service charge set by the company you call. Both charges are calculated excluding VAT, so when we round the price and add the VAT, some calls will round up by up to 2p, depending on the length of the call. You can find the full details in our tariff guide. Only £2 a month. A 23p call set up fee applies. You'll need a BT home calling plan and an iPhone/Android Smartphone connected to Wi-Fi or 3G. Five users per account. SmartTalk allows you to access your calling plan on your smartphone. UK time zone applies. Opt-in for international, premium (09) and personal (070) calls. Fair-use policy applies. Excludes BT Basic. See details. Each BT SmartTalk user must have their own unique BT.com log-in details. It's easy to set these up after you've downloaded the app. Just press the Create BT Login button. Customers pay for the diverted leg of the call at applicable rates. Opt-in is required. £3.50 a month. No minimum call commitment applies. The call return feature will not be available if the person leaving the message has chosen to withhold their number or if the call was from an international number. Customers who use Call Barring should note that calls to 1571 will be barred under outgoing Call Barring option 1. This is because calling 1571 may lead to a chargeable call. A facility fee of 35p, will also be charged for the call set-up attempt. Some social alarm and burglar alarm equipment may not be compatible with BT Answer 1571. Please check with your supplier. Dialling BT 1471 without using Call Return is free. The Call Return feature of BT 1471 costs a fixed fee of 35p. The fee will apply when you press 3 to return your last caller's call. This charge applies whether or not the call is connected. If you don't want your number to be obtained through Caller Display or Call Return (1471), dial 141 before making your call. 1471 cannot disclose the number if the number is withheld, unavailable or the call came from a switchboard extension number. Nuisance call blocking functionality blocks up to 100% of nuisance/unwanted calls. To block nuisance calls you need the Caller Display service to be active on your account. See details. Calls to 0845 and 0870 numbers are included within your inclusive call times (excluding Calling Card, Dial-through and dial-up internet access numbers). Any calls over an hour will be charged at normal rates (you can hang up and redial to avoid these charges). Fair usage policy applies. Maximum 1000 minutes or 150 calls a month. If either of these limits on inclusive calls is exceeded, BT will charge for these calls until further notice. You can pay for your monthly line rental either by direct debit for £19.99 a month for Standard Line or by paying £219.84, equivalent to £18.32 a month by credit/debit card for 12 monthly payments in advance (Line Rental Saver) giving you one month's line rental free. You'll need to pay any additional call charges by Direct Debit. You'll receive e-billing. Connection charges may apply for new connections. There's a 12 month minimum term. Exclusions and conditions apply. Calls to 01, 02, and 03 numbers, excluding the Channel Islands, indirect access numbers and dial-up internet access. Other exclusions apply. Inclusive calls: calls up to an hour. Redial within 60 minutes to avoid charges. Set-up fee - 23p set up fee (+ rounding) applies to all chargeable calls. Calls to 070 numbers cost no more than 49p per minute, with a max. set-up fee of 23p (+ rounding). Click here for our full tariffs. Unlimited Weekend Calls £0 a month plus BT line rental – see standard line rental note for prices, when signing up to a 12 month minimum term. You'll need to pay by direct debit. Terms apply. Unlimited Evening & Weekend Calls- £4.50 a month plus BT line rental – see standard line rental note for prices, when signing up to a 12 month minimum term. You'll need to pay by direct debit. Terms apply. Unlimited Anytime Calls - £9.99 a month plus BT line rental – see standard line rental note for prices, when signing up to a 12 month minimum term. Landline calls to UK mobiles will be charged at 9 pence per minute, you'll pay a 23p set up fee (+ rounding) for every mobile call you make. You'll need to pay by Direct Debit. Terms apply. £21.99 a month. Available to new and existing BT customers that sign up for an 18 month minimum term. Package includes BT line rental and unlimited calls to UK* landlines for up to an hour. Also included when you opt in are: BT Privacy Caller Display, Anonymous Call Reject, and Free 1471 call return. This package cannot be taken alongside BT Broadband with calls bundles, Line Rental Saver or Line Rental Plus. Terms apply. £21.99 a month. Available to new and existing standard BT line rental customers. A 12-month minimum term applies for new line rental contracts. Includes PromptCare, Choose to Refuse, SMS alerts, Premium Rate Service and International Call Barring. You can pay for Line Rental Plus by any method unless you take another service that requires payment by Direct Debit. Connection charges may apply. Terms apply. PromptCare operates between 8am and 6pm on weekdays and Saturdays. We aim to repair a fault by midnight on the next working day after you report the fault to us unless a specific appointment date is agreed. Faults reported after 9pm Monday to Saturday, or anytime on Sundays or on public or bank holidays, will be treated as if you reported the fault at 8am on the next working day. PromptCare is not available on telephone lines provided using fibre technology. BT Sport App Free for 3 Months: Price from month 4 currently £10 a month for UK residential customers. New 18-month BT Broadband contract required. You can only access BT Sport in the UK. Requires minimum 400kbps line speed or good Wi-Fi/3G/4G and a compatible device. Maximum of 2 devices may be used simultaneously. BT Sport with BT TV: £10.00 a month. 18 month contract. New 18-month BT Broadband and BT TV contracts required. Prices and BT Sport content subject to change at any time. Payment by Direct Debit. Terms apply. BT Sport is also available on the Sky Digital Satellite Platform for all new and existing BT broadband customers who sign up for 12 months or have 12 months remaining on their contract; ongoing renewal needed to get discounted BT Sport. Sky box and active viewing card required. Excludes Multiscreen. e-billing required. UK only. Terms apply. Prices and BT Sport content subject to change at any time. BT Sport HD- BT Sport HD service requires HD ready TV & cabling; Sky customers need a black Sky box. Available to new and existing non-HD BT Sport customers that watch BT Sport on Sky or BT TV with BT Superfast Fibre. There's a one month minimum term. £6.50 a month from month four. BT Sport on Sky - Second Box- For new and existing customers who access BT Sport via the Sky Digital Satellite Platform and have a Sky Multi-room subscription, signing up to BT Sport Second Box on a rolling one month contract. You'll get BT Sport Second Box at no extra charge for the first three months. From month four you will pay the standard monthly subscription charge (currently £6 a month). It must be taken with a standard BT Sport subscription. You can end your subscription to BT Sport Second Box at any time subject to 30 days' notice. Offer excludes existing BT Sport Second Box customers. BT Sport on Sky Digital Satellite Platform: BT Sport is also available on the Sky Digital Satellite Platform for customers who sign up on a rolling 1 month basis. £35 activation charge applies. Sky box and active viewing card required. Excludes Multiscreen. E-billing required. UK only. Prices and BT Sport content subject to change at any time. Terms apply. BT Sport: Price from month 13 currently £29.99 a month for UK residential customers. BT Sport on Sky TV requires Sky box, active viewing card and 12-month BT Sport contract. Excludes Multiscreen. E-billing required. Prices and BT Sport content subject to change at any time. Terms apply. BT Sport on Sky TV with BT Broadband: For UK residential BT Broadband customers. New 18-month BT Broadband contract required. BT Sport on Sky TV also requires Sky box, active viewing card and 18-month BT Sport contract. Ongoing BT Broadband contract renewal needed to get discounted BT Sport. £21.75 a month out of contract charge applies if you don’t renew your BT Broadband contract. Excludes Multiscreen. E-billing required. Prices and BT Sport content subject to change at any time. Terms apply. BT Sport: Price from month 13 currently £29.99 a month for UK residential customers. BT Sport on TalkTalk TV requires TalkTalk provided recordable TV box, active TalkTalk TV subscription and 12-month BT Sport contract. E-billing required. Prices and BT Sport content subject to change at any time. Terms apply. BT Sport on TalkTalk TV: BT Sport is also available on TalkTalk TV for customers who sign up on a rolling 1 month basis. £35 activation charge applies. TalkTalk provided recordable TV box and TalkTalk TV subscription required. E-billing required. UK only. Prices and BT Sport content subject to change at any time. Terms apply. £50 discount code available to new BT Mobile SIM Only customers against the purchase of selected mobile phones on the BT Shop discount offer page – as indicated on the phone description. £50 discount does not apply to Apple iPhone purchases. One discount code per mobile phone purchase. Your discount code will be sent by e-mail once we have accepted your order for a BT Mobile SIM Only plan. You must redeem your discount code within 9 months of our order confirmation email. There is no cash alternative to this offer. Subject to availability. Any purchase made will be subject to BT Shop standard terms of sale. Delivery charge of £4.99 applies to every order. Terms apply. BT reserves the right to suspend or cancel the offer at any time. This offer is available to (i) new BT Mobile customers who are ordering a BT Mobile 6GB, 15GB or 30GB plan (either a smartphone or Sim Only plan); and (ii) existing BT Mobile customers on our 6GB, 15GB or 30GB (or our previous 20GB) smartphone or SIM Only plan. This offer includes access to BT Sport accessible by the BT Sport smartphone app only. BT Sport content cannot be watched on larger devices such as laptops or tablets, via Chromecast or Airplay, or via the webplayer. If you have any open orders on your account currently, we'll process this order right after any existing orders are complete. Customers who have purchased our 500MB or 2GB mobile plans, please choose another Sport option through bt.com/mybt. We'll send you an email confirmation once the order is placed. If you choose to downgrade your 6GB, 15GB, 20GB or 30GB plan to a lower priced plan beneath 6GB (such as the 500MB, 2GB or 3GB plans), or if you cancel your 6GB, 15GB, 20GB or 30GB plan, you'll no longer be able to access free BT Sport. Other exclusions and conditions may apply. The BT Sport App works on iPhone and iPad (iOS 8 and above), selected Android devices with OS 4.3 and selected Windows 10 devices. You'll need 3G/4G/Wi-Fi. Your spend cap is for data, minutes or texts beyond your plan’s monthly allowance, you can set a limit on what you spend. Any add-ons you buy won’t count towards the spend cap and you’ll get separate one-off or monthly charges for these. Your initial cap is set to £40 for out of plan spend and £35 for data roaming, you can decrease your limit to £0 or increase up to a maximum of £200 subject to your credit status. See btwifi.com. BT Mobile customers get access to the wi-fi hotspots already available to existing BT Broadband customers.4G speeds vary by location, coverage and demand. Extra Speed - With Extra Speed 4G, the maximum speed available through the network is capped at 60 Mbps rather than 30 Mbps on our standard 4G. The speeds you get on your phone will be lower, and depend on things like the number of users, distance from the mast and the type of 4G phone you have. This add on is valid from the moment you buy it and then runs on a 30 day rolling contract. Extra Speed 4G is not available on BT Business Mobile plans. Roaming - Travel Data Pass is a daily data roaming add-on available to all new and existing BT Mobile customers. USA Data Roaming add-ons are no longer available for sale. They are valid for 30 days or until you've used up all the data – whichever comes first. Available on selected enabled BT Mobile handset plans and iPhone 5S and above. Wi-Fi connection required. All calls or texts charged as per your BT Mobile plan. Terms apply. Available on selected enabled BT Mobile handset plans and iPhone 6 and above. 4G connection required. All calls or texts charged as per your BT Mobile plan. Terms apply. Available on selected enabled BT Mobile handset plans. 4G Calling also available on iPhone 6 and above – 4G connection required. Wi-Fi Calling also available on iPhone 5S and above - Wi-Fi connection required. All calls or texts charged as per your BT Mobile plan. Terms apply. For BT Wi-Fi see: btwifi.com. More places than 02 and Vodafone and Three: to verify visit bt.com/moreplaces. Opt-in required. Free for the first 12 months, then £1.75 a month. A new 12-month line rental contract applies. No minimum call commitment. Caller Display equipment is required. Includes the option to register for the Telephone Preference Service (TPS) to help prevent unwanted sales calls. If you’re a new BT Mobile customer or an existing BT mobile SIM only customer you can apply to pre-order selected mobile handsets. You can do this at bt.com/mobile or by calling us at 0800 032 6624. You might have to pay an upfront fee for your device. If you do, we’ll take your bank card details when you apply to pre-order. But we won’t charge your bank card until we’ve allocated a device to you. If this payment fails (for example due to lack of funds), your pre-order may be cancelled. You can cancel your pre-order at any point until we charge your card for this upfront fee. Before we can accept your request you’ll have to pass credit checks. If you pass these checks, we’ll send you an order confirmation by e-mail. Your back-order isn’t confirmed until you get this. When you do, your account will be activated and you’ll be subject to our terms and conditions for service, which you can read at bt.com/legalstuff. You might have to pay an upfront fee for your device. If you do, we’ll take your bank card details when you apply to back-order. But we won’t charge your bank card until we’ve allocated a device to you. If this payment fails (for example due to lack of funds), your back-order may be cancelled. You can cancel your back-order at any point until we charge your card for this upfront fee. If your back-order is confirmed, we’ll aim to send your new device to you within 30 days of the official launch date. Sometimes, we won’t be able to get your device to you within 30 days of the official launch date (because of high demand, for example). If this is the case, and you don’t want to wait longer than 30 days, you can cancel your back-order. But as set out above, you can’t do this if we have already charged the upfront fee to your bank card. This does not affect your statutory rights to change your mind within 14 days of receiving your device and only pay for the services you have used. We’ll start charging you for your BT Mobile service in the normal way from the day after we’ve dispatched your new device to you and your minimum term will start from that date too. We’ve started to lock some of our handsets to the BT Mobile network which means if you want to use it with another provider’s SIM card, you’ll need to request an unlock from us. How much does it cost to unlock my device? You're not unable to unlock within the first 6 months of your contract. The exception is where you've ceased your BT Mobile service and have paid your final bill which would include the early termination charges. Are there any devices that cannot be unlocked? We will not unlock any handsets which have been reported lost or stolen. How long will it take for BT to unlock my device? We aim to unlock all devices within 72 hours. If we need to contact the manufacturer to get a code, it may take 10 days. But, we’ll be in touch if that’s the case. Available to new customers and existing BT Mobile SIM-Only or Family SIM customers. BT broadband homes (excludes business). 24 month minimum term. Payment is by direct debit and subject to credit status. UK calls to UK landlines (starting 01,02,03) and UK mobiles, standard UK texts and data within the UK. Speeds vary by location, coverage and demand. One minute minimum call charge. Service numbers beginning 084, 087, 09 and 118 have an access charge of 30p per minute plus a service charge set by the company you call. 0800 numbers and calls to voicemail included. Early termination charge may apply if you stop your service in the first 24 months, see bt.com/legalstuff. Pre-order: Subject to stock availability. Pre-order terms apply, see bt.com/mobile. With Extra Speed, the maximum speed available through the network is capped at 60 Mbps rather than 30 Mbps on our standard 4G. The speeds you get on your phone will be lower, and depend on things like the number of users, distance from the mast and the type of 4G phone you have. This add on is valid from the moment you buy it and then runs on a 30 day rolling contract. Extra Speed is not available on BT Business Mobile plans. A UK Add-On covers minutes or data used over your inclusive plan allowance, up to the allowance for that Add-On, from your last BT Mobile bill until your next one. (So if you buy a 500MB Add-On 10 days before the date of your next bill, it'll cover the data you use for those days and the previous 20). The add-on renews automatically every month on the date you get your BT Mobile bill, unless you cancel it. If you don't want your UK Add-On to renew automatically, you'll need to contact us to cancel it before the date of your next BT Mobile bill. (You can still carry on using it until the date of your next bill and we won't charge you again). Any unused allowance won't carry over when your billing month ends. And if you go over your allowance, standard charges will apply. You can have a maximum of one for minutes and one for data at any one time. We won't transfer or refund UK Add-Ons. They're for your personal use and subject to BT Mobile Service terms and conditions. BT Reward card is available to new and existing BT Mobile customers ordering the service through bt.com, excluding BT employees. Available on single SIMs and the first SIM in each Family SIM plan; excludes re-grades & re-contracts. You will need to have ordered a new BT Mobile plan online during a promotional period and waited 30 days before claiming. Your reward card could take up to 30 days from claim date to arrive. On receipt you must activate the card within 3 months via the activation code, which will be sent to you by email to the email address provided with your order. The card is a non-reloadable prepaid card with no cash access (ATM or cash back). The card can be used at most merchants which display the Mastercard® acceptance mark until the funds on the card are depleted or until the card expiry date. Unspent funds which remain on the card after expiry date printed on the card cannot be redeemed. The card cannot be used at any Customer Activated Terminals (such as but not limited to pay@pump, toll roads, car parks or train ticket terminals), for subscriptions automated periodic payments, to withdraw cash via cashback ATM, foreign exchange bureaus, gambling, or any illegal goods services. The prepaid card offer is open to UK residents only, over the age of 18. Your BT Reward Card is issued by Blackhawk Network (UK) Ltd​, an Electronic Money Institution authorised in the UK by the FCA with Firm Reference number 900023; pursuant to license from Mastercard International​. Mastercard® is a registered trademark of Mastercard International Incorporated. Blackhawk Network (UK) Ltd’s company registration number is 05802971 and its registered office is at Westside, London Road, Hemel Hempstead, HP3 9TD. There is no cash alternative for rewards. The Reward Card can be replaced if lost or stolen for a £3 fee. If a reward was offered on the date you placed your order, it will expire 3 months after the date your broadband order was installed or mobile order activated, unless you claim your reward. BT reserves the right to remove the offer at any time. Rewards are subject to suppliers own terms and conditions. Price from month 4 currently £7 a month for UK residential customers. New 18-month BT Broadband contract required. You can only access BT Sport in the UK. Requires minimum 400kbps line speed or good Wi-Fi/3G/4G and a compatible device. Maximum of 2 devices may be used simultaneously. All SIM Only and Family SIM plans include Unlimited Minutes and Unlimited Texts. 1GB SIM. Monthly price £9 (was£10) a month for BT Broadband homes; £14 (was £15) a month for non-BT Broadband homes. 3GB SIM. Monthly price £10 (was £12) a month for BT Broadband homes; £15 (was £19) a month for non-BT Broadband homes. 5GB SIM for the price of 3GB. Monthly price £12 a month for BT Broadband homes; £17 a month for non-BT Broadband homes. 6GB SIM for the price of 3GB. Monthly price £12 a month for BT Broadband homes; £17 a month for non-BT Broadband homes. 15GB SIM for the price of 10GB. Monthly price £18 a month for BT Broadband homes; £23 a month for non-BT Broadband homes. 40GB for the price of 20GB. Monthly price £25 (was £35) a month for BT Broadband homes; £30 (was £40) a month for non-BT Broadband homes. 10GB SIM. Monthly price £14 (was £18) a month for BT Broadband homes; £19 (was £23) a month for non-BT Broadband homes. 1GB - £2 off, 6GB - £5 off, 6GB - £5 off and double data, 30GB - £5 off and double data, 30GB - £5 off, 60GB - £5 off. Smartphone offers: 1GB – £2 off a month, on featured handsets. Ends 9th May 2019: Available to new BT Mobile customers. Includes J3, moto G6, Huawei Psmart, Huawei p20 lite, Huawei mate 20 lite, j6+, iPhone 6s. Smartphone offers: 6GB – £5 off, on featured handsets. Ends 9th May 2019: Available to new BT Mobile customers. Includes: Samsung J3, Huawei Psmart. Smartphone offers: 6GB – £5 off and double data, on featured handsets. Ends 9th May 2019: Available to new BT Mobile customers. Includes: Huawei p30 lite, iPhone 6s, iPhone 7, iPhone 8, Huawei p30, s9, s10, Huawei mate 20 pro, Huawei p30 pro, s10. Smartphone offers: 30GB – £5 off, on featured handsets. Ends 9th May 2019: Available to new BT Mobile customers. Includes: iPhone XR, Huawei p30 pro, iphone 8, iPhone XR, S10, S9+, iPhone 8+, iPhone X, iPhone XS, S10+, iPhone XS Max. Smartphone offers: 60GB – £5 off, on featured handsets. Ends 9th May 2019: Available to new BT Mobile customers. Includes: iPhone XR, Huawei p30 pro, iphone 8, iPhone XR, S10, S9+, iPhone 8+, iPhone X, iPhone XS, S10+, iPhone XS Max. 1GB - 3m half price, 3GB - 6m half price, 6GB - £5 off, 6GB - double data, 15GB - triple data, 30GB - double data. Smartphone offers: 1GB – 3 months half price, on featured handsets. Ends 28th june 2019: Available to existing BT Mobile customers. Includes Huawei Psmart, Moto G6 play, Nokia 3.1, Samsung Galaxy J4+, Sony Xperia L1, Huawei P20 lite, Huawei Mate 20 lite, iPhone SE, Samsung Galaxy J6+, iPhone 6s, iPhone 7, Samsung Galaxy S8. Smartphone offers: 3GB – 6 months half price, on featured handsets. Ends 28th june 2019: Available to existing BT Mobile customers. Includes Huawei Psmart, Moto G6 play, Nokia 3.1, Samsung Galaxy J4+, Sony Xperia L1, Huawei P20 lite, Huawei Mate 20 lite, iPhone SE, Samsung Galaxy J6+, iPhone 6s. Smartphone offers: 3GB – 3months half price+ 2GB data, on featured handsets. Ends 28th june 2019: Available to existing BT Mobile customers. Includes iPhone 7, Samsung S8, Huawei P20 pro, Huawei P30, iPhone 8, Samsung S9. Smartphone offers: 6GB – £5 off, on featured handsets. Ends 28th june 2019: Available to existing BT Mobile customers. Includes Huawei Psmart, Moto G6 play, Nokia 3.1, Samsung Galaxy J4+, Sony Xperia L1, Huawei P20 lite, Huawei Mate 20 lite, iPhone SE, Samsung Galaxy J6+, iPhone 6s, iPhone 7, Samsung Galaxy S8, Huawei P20 pro, Huawei P30, iPhone 8, Samsung Galaxy S9. Smartphone offers: 6GB – double data, on featured handsets. Ends 28th june 2019: Available to existing BT Mobile customers. Includes Huawei Mate 20 pro iPhone 8 Plus, Samsung s10e, iPhone XR, Huawei P30 pro, Samsung Galaxy S10, Samsung s9+, iPhone X, iPhone XS, Samsung S10+. Smartphone offers: 15GB – triple data, on featured handsets. Ends 28th june 2019: Available to existing BT Mobile customers. Includes Huawei Mate 20 pro, iPhone 8 Plus, Samsung s10e, iPhone XR, Huawei P30 pro, Samsung Galaxy S10, Samsung s9+, iPhone X, iPhone XS, Samsung S10+, Huawei P20 pro, Huawei P30, iPhone 8, Samsung Galaxy S9, iPhone 8+, iPhone XR. Smartphone offers: 15GB – triple data and £5 off, on featured handsets. Ends 28th june 2019: Available to existing BT Mobile customers. Includes : Huawei p30, p30 pro, iPhone XR, Huawei mate 20 pro, iPhone X, iPhone 8, iPhone 8+, iPhone XS. Smartphone offers: 30GB – double data, on featured handsets. Ends 28th june 2019: Available to existing BT Mobile customers. Includes Huawei Mate 20 pro iPhone 8 Plus, Samsung s10e, iPhone XR, Huawei P30 pro, Samsung Galaxy S10, Samsung s9+, iPhone X, iPhone XS, Samsung S10+. Smartphone offers: 6GB – £5 off, on featured handsets. Ends 31th may 2019: Available to existing BT Mobile customers. Includes Huawei Mate 20 pro iPhone 8 Plus, Samsung s10e, iPhone 8, iPhone XR, Huawei P30 pro, Samsung Galaxy S10, Samsung s9+. Smartphone offers: 6GB – £5 off + double data, on featured handsets. Ends 31th may 2019: Available to existing BT Mobile customers. Includes Samsung S10, S10+ and S10e. Smartphone offers: 30GB – £5 off, on featured handsets. Ends 31th may 2019: Available to existing BT Mobile customers. Includes iPhone 8, iPhone XR, Huawei P30 pro, Samsung Galaxy S10, Samsung s9+, iPhone 8+, iPhone X, iPhone XS + XS Max, Samsung S10+. Mobile Handset and SIM Prices may change at any time during the contract. Available to New and Existing customers (excludes business). Payment is by Direct Debit and subject to credit status. UK calls to UK landlines (starting 01, 02, 03) and UK mobiles, standard UK texts and data within the UK. Speeds vary by location, coverage and demand. One-minute minimum call charge. Service numbers beginning 084, 087, 09 and 118 have an access charge of 30p per minute plus a service charge set by the company you call. Roam like home: Visit Data Roaming for 47 inclusive destinations. 5GB SIM. Monthly price £10 a month for BT Broadband homes; £15 a month for non-BT Broadband homes. Data SIM Only plans don’t offer any minutes or texts, they are for use within tablets and mobile broadband devices only, and shouldn’t be used in mobile phone devices.